The Most Relevant Film About Marketing Today is Over 70 Years Old. – Bailey & Co.
To many people, the story of George Bailey in It’s a Wonderful Life is a timeless holiday fable that contains many valuable life lessons. It’s also the most timely film about business and marketing ever made. Whether you’re a fan of the film or not, the story of George Bailey and his rivalry with Henry Potter has a lot to teach us about doing business successfully in today’s world. Potter saw business as a zero-sum game where profit and the welfare of his customers were unrelated. But George Bailey, like his father before him, understood that the success of the Bailey Brothers Building and Loan and that of his customers and the town of Bedford Falls were closely intertwined—each depended on the other. Potter may have owned the bank, the bus line, and the department stores, but George Bailey owned something bigger—the heart and admiration of the town. People did business with Potter because they had to; They did business with George Bailey because they wanted to—not because he had a better ad campaign, but because he was truly invested in his customers’ success and strived to make a positive impact on the town. Reluctant to evict families late on their mortgage payments, Potter asks George, “Are you running a business or a charity ward?” George may have been a nice guy, but he was no slouch in business. He knew if could help those families succeed, he’d have their loyalty for life. At the end of the movie, George’s brother Harry raises a glass and says, “To my big brother George, the richest man in town.” Of course, he meant that figuratively. But maybe that statement would eventually have become literally true as well, if George had gone on to expand into other businesses and capitalize on the good equity of his brand. While real life isn’t as black and white as a 1943 holiday movie, the story of George Bailey is more relevant to the world of marketing today than ever. People today are a lot more critical of how businesses operate, even to the point of questioning the system of capitalism itself. Given the choice, people would much rather do business with a Bailey versus a Potter. It’s interesting that organizations which already dominate their market tend to be more Potter-esque. For most people, the sheer ubiquity of these companies, the ease of convenience they provide, and the lack of an equal alternative is enough to forget that behind the welcoming façade might lurk a cold and calculating Potter. But no one is invincible. Like anyone, perhaps more, these companies are only a misstep or two from finding themselves in the public crosshairs. 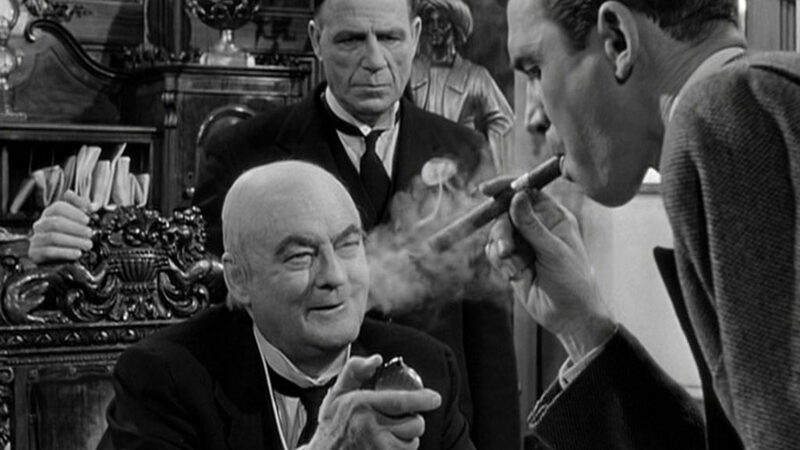 For companies today, channeling the spirit of George Bailey can provide a competitive advantage. Not just for purpose-heavy brands like Toms Shoes, Patagonia, and REI, but for global mainstays as well, with companies like Coca-Cola and Unilever leading the way. Visionary CEOs understand that many issues affecting society also affect their business, and that governments and NGOs alone can’t solve the pressing problems facing humankind. They realize that customers are demanding that part of any company’s reason for being should be to make a positive impact in the world. And because of that demand, business—being the powerful force it is—can make an impact that benefits all stakeholders—from consumers to society and shareholders. Think about a company like Coca-Cola that operates in 200 countries worldwide. Their commitment to replenishing 100% of every drop of water used to create their products has an enormously positive impact on the global environment. Just as importantly for Coca-Cola, it helps protect their most widely-used ingredient, and cultivate the kind of good will among consumers and communities worldwide that leads to stronger sales. George Bailey knew it. Today’s smartest CEOs know it too: Doing good is good business. All of this is why we named our agency, Bailey & Co. At first, we resisted. But in the end, the parallels just lined up too perfectly. Like the character who inspired our name, we believe that profit and the greater good aren’t mutually exclusive—they go hand in hand. And when each helps drive the other, everyone—brands, consumers, shareholders, and society—wins.